Although not as modern as the new Chrysler Pacifica and Honda Odyssey, the 2018 Dodge Grand Caravan offers a roomy and innovative interior, powerful standard V6 engine, decent fuel economy and a low base price. It lacks newer infotainment and driver-assist features, however, and its resale is near the bottom of the minivan pack. Is not a bad van if you want a stripped down version. I have had no problems but it was listed as stow and go and the second row of seats is a bench seat so it is not stow and go. It gets fairly good gas mileage. The radio does not get the best reception. So far it has been a pretty good vehicle. I have only had it a few months so still finding out things about it. How smooth and comfortable the ride is. The comfort when riding in a Dodge caravan is fantastic. They are such a smooth ride. The amount of space each person has is perfect. The seats conveniently fold into the floor so you can haul large things. There is stow and go under the middle seats which is perfect for storing small suitcases when traveling. Van is large and roomy inside. Rear seats can be folded and stowed for a flat surface (more room for Ikea runs for example) or tilted backwards to sit facing out of the trunk (for tailgating or watching fireworks). It has smooth acceleration and braking; for the short time I have had the vehicle it is perfect. 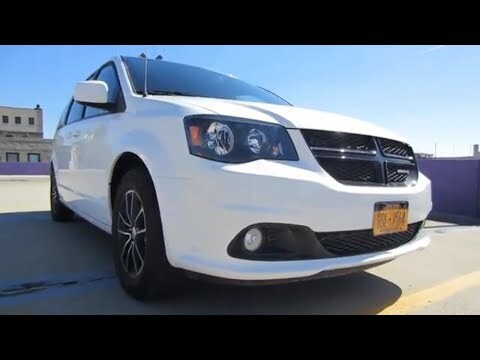 2017 Dodge Grand Caravan GT Full Review!! WOW!! Chrysler (FCA US LLC) is recalling certain 2018 Jeep Renegade, Compass and Grand Cherokee, RAM 1500 and Promaster, Fiat 500x, Dodge Journey, Challenger, Charger and Durango and Chrysler 300x vehicles, 2017-2018 Jeep Wrangler, Dodge Grand Caravan and Chrysler Town and Country vehicles and 2018-2019 Jeep Cherokee and Chrysler Pacifica vehicles. The powertrain control module may be equipped with a voltage regulator chip in the circuit board that may fail, causing a stall or a no start condition. A vehicle stall can increase the risk of a crash. Chrysler will notify owners, and dealers will replace the powertrain control module, free of charge. The recall began October 2, 2018. Owners may contact Chrysler customer service at 1-800-853-1403. Chrysler's number for this recall is U87. Chrysler (FCA US LLC) is recalling certain 2018-2019 Dodge Grand Caravan and Jeep Compass, 2018 Dodge Journey, and 2019 Jeep Cherokee vehicles. The rear brake caliper pistons on these vehicles may have an insufficient coating causing gas pockets to form, potentially reducing rear brake performance. Chrysler will notify owners, and dealers will bleed the vehicle's brake system, free of charge. The recall began September 29, 2018. Owners may contact Chrysler customer service at 1-800-853-1403. Chrysler's number for this recall is U86.